The Xiaomi lovers in India will have a big surprise arriving in a few days! Because the cheapest flagship phone in the world, Poco F1 will get even more affordable now on the online portal Flipkart during its Big Shopping Days Sale from 6 to 8 December. The phone will be available for an extra discount of up to Rs.5,000. Currently, the Poco F1 has become a ‘hot cake’ near or above the range of Rs.20,000, for possessing the flagship processor, Snapdragon 845 (octa-core chipset) from Qualcomm. 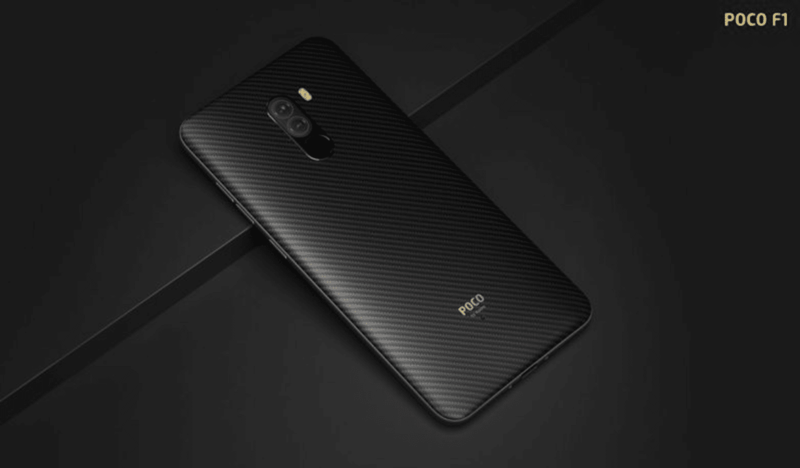 As of now, the 6GB/64GB variant of Poco F1 is available on Flipkart for Rs.21,999, 6GB/128GB model for Rs.24,999, and lastly the high-end variant of 8GB/256GB for Rs.30,999. But during the Flipkart’s Big Shopping Days Sale and after the discounted prices, the 6GB/64GB model will be priced at Rs.19,999 (discount of Rs.2,000), 6GB/128GB model for Rs.21,999 (discount of Rs.3,000), and lastly the 8GB/256GB model will be available for Rs.25,999 (discount of Rs.5,000). The fantabulous Poco F1 comes with a 6.18inch Full HD+ LCD display with a resolution of 2246x1080p, having an aspect ratio of 18.7:9. It’s protected by a 2.5D curved glass, has a contrast ratio of 1,500:1, 84% NTSC colour gamut, and Corning Gorilla protection. For powerful and unmatched performance it’s powered by the latest flagship Qualcomm Snapdragon 845 SoC, clocking at 2.8GHz, combined with the GPU of Adreno 630. It also has the ‘Liquid Cooling technology’ for reducing the heat during intensive gaming for long hours. The phone also supports an extra microSD card storage of up to 256 GB and for ensuring the durability for more than a day, there is a very large and impressive 4,000mAh battery, with Quick Charge 3.0 support too. The Android platform is of Android 8.1 Oreo operating system but now, there is also the latest Android Pie 9.0 update available for the Poco F1. Coming onto the optics then there is a dual-rear camera setup of 12MP (Dual Pixel) + 5MP lenses, and the cameras are really impressive. While on the front there is a 20MP selfie camera, for taking portraits and also studio lighting quality pictures, having an aperture of f/2.0. For connectivity, there is Bluetooth 5, GPS + GLONASS, Wi-Fi, USB Type-C port for charging, dual Hybrid-SIM slot (nano+nano/microSD card), Dual 4G+VoLTE, 3.5mm audio jack, IR Face Unlock Dirac HD, Dual Smart PA, and of course the fingerprint sensor located on the back.